I'm considering a new planet that I want to create, and I had an idea that I wanted to check in advance if it wouldn't get the sub autodenied- my idea is for a planet that is essentially a giant sphere of breathable atmosphere, but within that sphere, there are floating islands. So that the planet "shape" is essentially invisible, and upon closer inspection, various islands varying in size float as per usual orbital rules. ETA: Another question- is it possible to enter TBD on the planet's location and edit it in at some point in the future? Edited by Scherezade deWinter, 19 September 2018 - 11:36 PM. I've hit with some sci-fi interpretation on the colonization of something like the Oort Cloud and how it may be a relatively good idea for inhabiting a solar system. So with what I'm asking is, would it possible to make a submission (probably under planets) for a loose, independent collection of asteroids, and other natural satellite settlements as a planet in regards to a submission? Functioning kind of like a Polis Massas that together could equate to a small time planetary government and hold some influence in a system. Edited by STaCLO, 18 October 2018 - 02:02 PM. Wanted to ask about image sizes and the recommended sizes for both the main image and any secondaries in a codex submission. I think i remember reading somewhere it was 1000x750 but i could be mistaken. What is the recommended image size, number of images per submission, etc? Edited by Kaine Australis, 19 October 2018 - 09:45 AM. Allyson Locke I have no idea what looks nice, the art gene skipped my generation. Would say 75% of the header size be acceptable, or is 50% more so? Just a hint would be helpful, I just want to save the judges asking me to resize the secondary images in future. 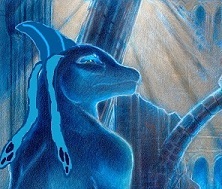 So I have a plan to create a lightside Force Nexus on Mon Cala in the form of a hidden underwater temple. Is that feasible? Also can I make it so that the Nexus within the temple as an impact on the environment and life of the area near the temple? I don't see why not. However, do not forget you need a development thread that tells a full story of the Nexus' creation. The location templates contains a specific template for a Force Nexus. That being said- you should know that the Sith Empire has recently taken control over Mon Cal on the map. It might be helpful to touch base with their staff, see how your idea fits with their established lore for the world. Oh ok, I wasn't aware a development thread was needed, I didn't think the template mentioned one but I can make that work some how. Should my first step be to go talk to the staff of the Sith Empire first? Probably a good idea since it is in their cloud of influence. Just received the go-ahead from Darth Carnifex so I will hopefully begin that shortly. Do I require a development thread for the Nexus? The template only mentioned needing aparagraph detailing the history and formation of the nexus. Force Nexus: Codex submissions that include a Force Nexus will require a Restricted Mission to be completed. Write a thread in a convincing manner detailing the quest for, construction of, or discovery of the Force Nexus in question. There is no set post count, however a complete story should be told. Submissions containing extraordinarily strong Nexuses or providing substantial benefits may warrant a judge requesting additional effort or edits made to the submission to adhere to forum standards and balancing for fair play. Where would I sub a particular type of fighting? Noah Corek None of the other templates are even close to what you might need for that so I would suggest entering it under "Lore" using the Media template. You can be creative with it to suit your needs but it will likely be your best option. You could even write it like a "Book" or an "Instructional Holo" if that might make things simpler for you.